Some relationship come into our life only to teach that they cannot stay longer. But still our heart cannot stop to think about them. If the dearest person doesn't consider us as special one, then its good to get out of the relationship then being a troublesome partner. Its hard but life has to move on. 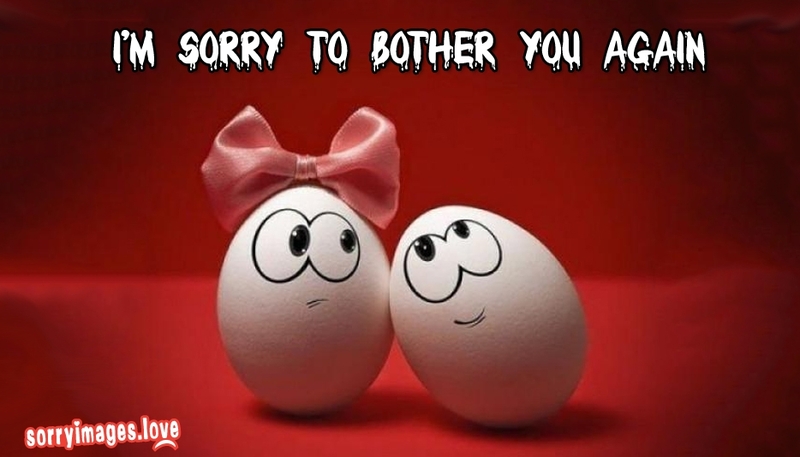 End for the trouble you caused by sending “I'm sorry to bother you again” image.